Beirut, 16 May, 2012 – The Gulf Centre for Human Rights (GCHR) has received information concerning the registration in Canada of Monitor of Human Rights in Saudi Arabia (MHRSA), an independent human rights organization, following the refusal of the Saudi authorities to allow the organization to be registered in the country. 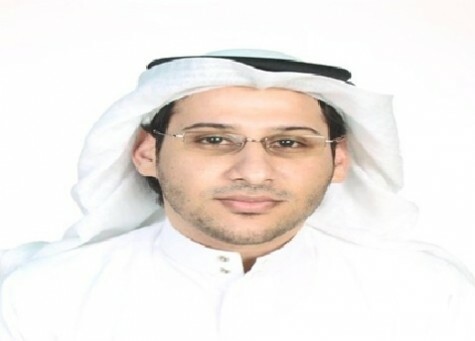 It is feared that lawyer and human rights defender, Waleed Abu Alkhair, who is the current head of the organization, is at risk of being targeted by the authorities following the registration of MHRSA. While the GCHR welcomes the successful registration of MHRSA in Canada it expresses concern that such registration was not permitted to take place in Saudi Arabia. The Ministry for Social Affairs informed the founders of the organization that it had no authority to register or to authorize the operation of human rights organizations. On this basis the founders of MHRSA did not submit an application for the organization to be registered in Saudi Arabia and instead applied to have it registered in Canada. It is feared that the successful registration of MHRSA in Canada may result in Waleed Abu Alkhair being targeted and subjected to further harassment and violations of his human rights by Saudi authorities. Over the past number of weeks he has reportedly been interrogated by authorities at the Bureau of Investigation and Public Prosecution in Jeddah. The interrogations focused on his activities since 2007 which included media interviews he gave and various articles, including an article published in the Washington Post on 20 Aril 2012 (http://www.washingtonpost.com/opinions/steadfast-in-pursuing-a-freer-saudi-arabia/2012/04/20/gIQAoAiUWT_story.html). It is feared that such interrogation will be intensified following the registration of the MHRSA. The refusal of the Ministry for Social Affairs to consider such applications for registration, is an on-going method of preventing human rights organizations from operating legally in Saudi Arabia. The founders of Adala (Justice) Centre for Human Rights experienced the same obstacle when they tried to register their organization earlier this year. (See GCHR appeal dated 29 January 2012 http://gc4hr.org/news/view/60). Members of the Saudi Civil & Political Rights Association (HSM) were also unable to register the organization with the Saudi authorities. The members sent a letter to the King informing him of the existence of the organization; however, the only response received was a letter accusing one of its members, Mohammed Albajady, of membership of an illegal organization. Mohammed Albajady is currently serving a four year prison sentence, and will also face a five year travel ban on release, for fabricated terrorism related charges following an unfair trial which was in flagrant breach of fair procedures (See GCHR appeal dated 18 April 2012 http://gc4hr.org/news/view/124). The GCHR believes that the refusal to allow MHRSA to register with the Saudi authorities constitutes a direct attempt to hinder the legitimate human rights work of the organization. The GCHR is concerned that Waleed Abu Alkhair may be targeted by authorities as a direct result of his human rights activities and his position as head of MHRSA, particular in light of the successful registration of the organization in Canada.